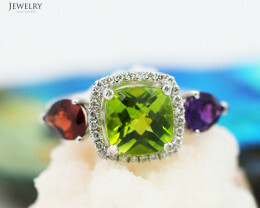 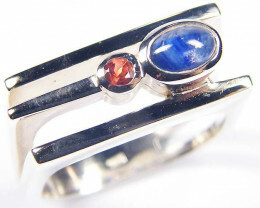 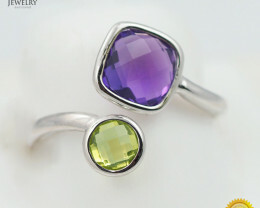 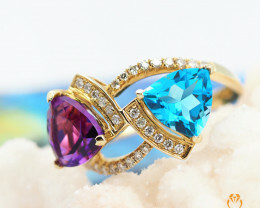 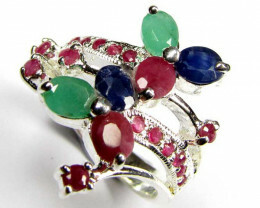 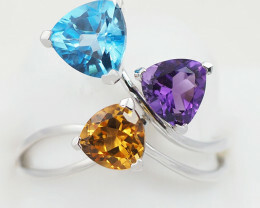 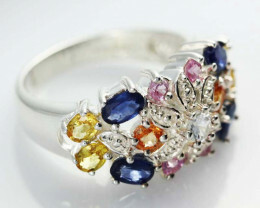 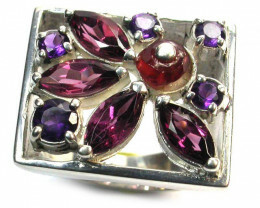 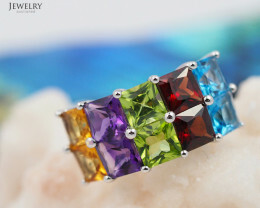 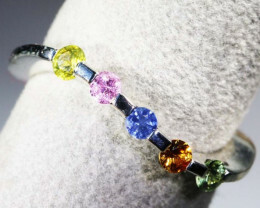 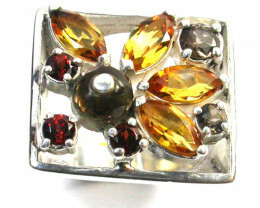 Multi Stone Gemstone Rings are popular rings as mixed gems to look so much more colourful than just one type gemstones, and makes personal statement wearing these gemstone ring a s they flash colors from many angles. 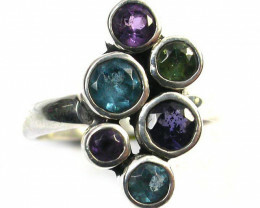 Cluster rings can have multiple gemstones or similar gemstones in different sizes to make cluster ring or mixed gemstone rings. 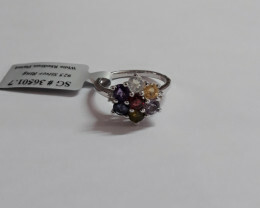 As example if cluster ring has 33 three pointer stones it is equal to one carat stone, but less expensive but with good visual effect. 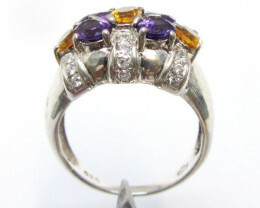 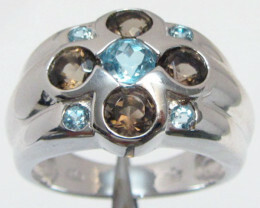 Some cluster rings have channel set stones, and if 100 one pointers it is still one carat. 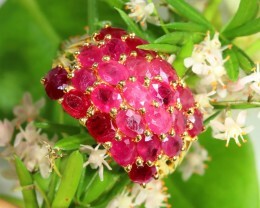 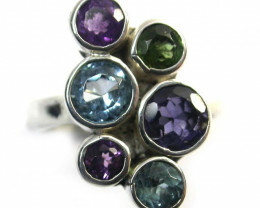 Cluster rings were originally popular as diamond engagement rings but today it is excepted as everyday wear. 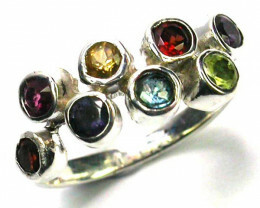 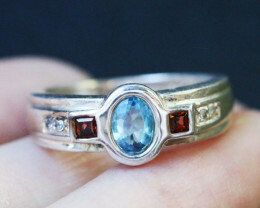 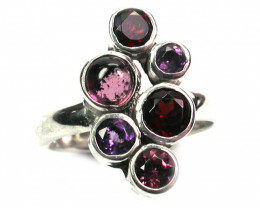 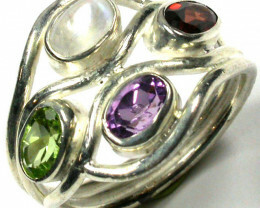 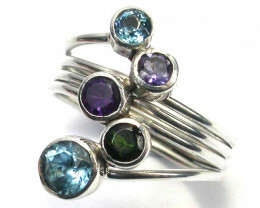 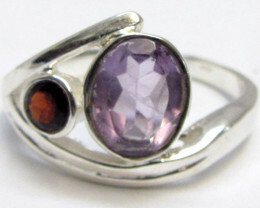 In past gold rings were popular as engagement rings but today silver cluster rings with mixed gemstones are far more fashionable and inexpensive. 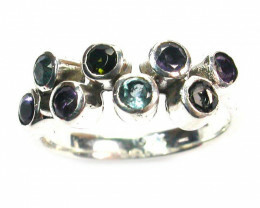 Today the ring designs can be amazing with multiple stones and marquise shapes can blend or compliment round or oval focal gemstone.